Tired of having dim light and not been able to see down the road during bad weather or nighttime drives? Fog Light Bulbs may be exactly what you need for excellent visibility. Fog LED lights can add beauty and style to the look of your car alongside helping you navigate through fogs and heavy rainfall. We know that buying the right LED fog light is not an easy task with the number of LED fog light available in the market today. We tried to make this simpler for you by selecting one of the best-led fog light money can buy. 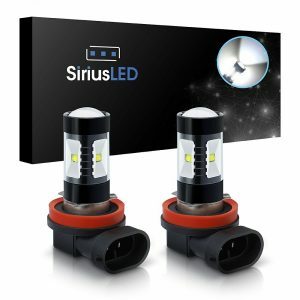 In this post, we’ll be reviewing Sirius LED H8 Light Bulbs Fog Light Bulbs to help you make up your mind. Purchasing the brightest lighting bulb available in the market doesn’t guaranty that you buy the best product. To get a sharp and focused light during driving, the lighting system installed in your car should produce a good beam pattern. The Sirius LED H8 Light Bulbs is the best solution designed to brighten the road during bad weather or late night drives. Unlike other fog light bulbs, which improve only the visibility of the road, Sirius LED H8 Light Bulbs illuminate both the curbs and the road surface. Therefore, you will feel more confident driving your car in any weather conditions. 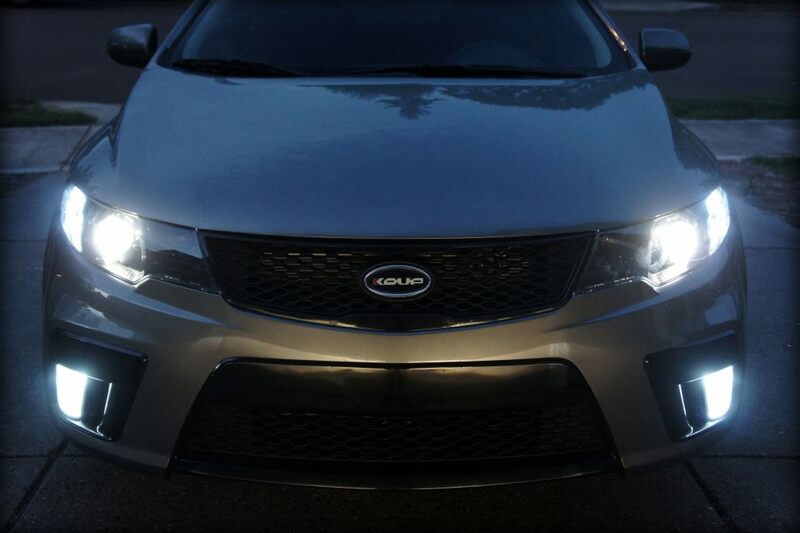 Thanks to the latest LED technology, the fog lights produce high brightness output and have a long lifespan. The Sirius LED H8 Fog Light Bulbs design ensures constant cooling of the LED, to maintain the highest light performance and a longer lifespan. The LED Fog lamps produce more high-quality light than traditional halogen bulbs. These LED bulbs are constructed to exceed the brightness of regular bulbs. Unlike ordinary bulbs, which can melt when they reach a specific temperature, the Sirius fog light is cool to touch even after hours of continuous usage. The Sirius LED H8 Light Bulbs was built with high-visibility power technology that increases the light density giving it a pure bright white light. The light bulb is easy to install without any wiring complication or relay harnesses. One of the best features of the fog light is the light beam pattern which many considered to be the most significant feature. The lightbulb comes with one year warranty. Staying safe behind the wheel is undoubtedly the most important aspect of driving. To drive safely in bad weather or late evening, you will want to be sure your vehicle is well equipped with the best fog light. Sirius LED H8 Fog Light will provide you with a maximum focused light output, enhancing driving visibility & security. Sirius LED H8 Fog lights are energy-efficient and will last for a long period.